Intensify your workout with these ProForm 1kg Wrist Weights (Pair). Two 0.5kg weights will help you add definition to your upper body and increase your workout intensity. The weights are made with a soft, neoprene material and have a comfortable, thumb lock design. Wrist weights also feature hook and loop closure with a flexible pull tab. 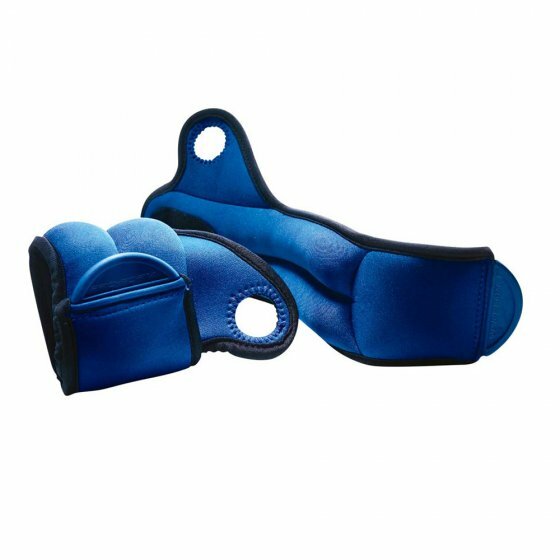 The ProForm 1kg Wrist Weights (Pair) are a great way to get that little bit of extra work into your workouts. The easily attach system has a thumb lock loop that when used helps to lock the weights into position so they do not slide around on your arm and gives you a very comfortable feel. The Velcro locking strap is a simple process to get the right fit. With each wrist weight weighing 0.5kg each you will be adding just enough weight to give you that extra workload for your upper body, great for toning and to increase workout intensity.